Premium Binding Post Satin Nickel Carbon Fiber. 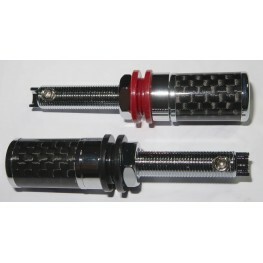 Premium Binding Post Satin Nickel Carbon Fiber. 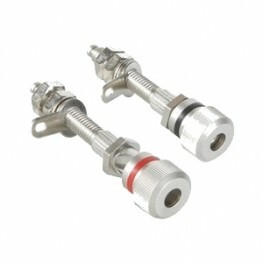 High-quality 5-way binding posts which offer audi.. 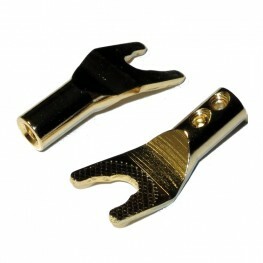 Premium Insulated Binding Post Gold. 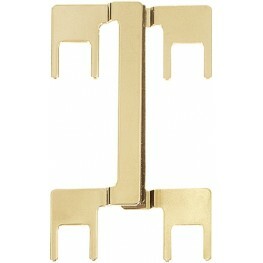 Premium Insulated Binding Post Gold with Satin Nickel Jacket. 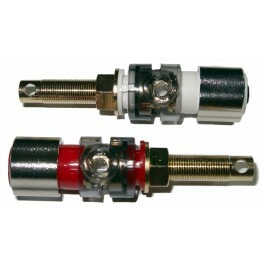 High-quality 3-way binding posts wh.. Premium Binding Post Gold. 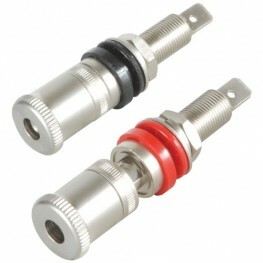 High-quality 5-way binding posts which offer audiophile features at a .. 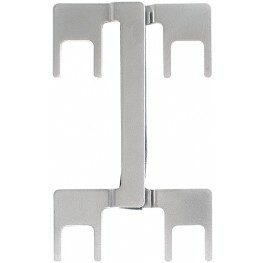 Premium Binding Post Satin Nickel. Premium Binding Post Satin Nickel. 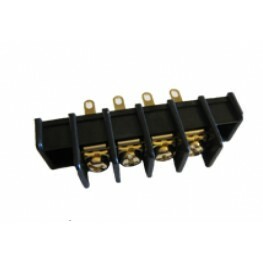 High-quality 5-way binding posts which offer audiophile featur.. 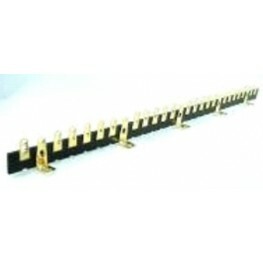 Fully Insulated Binding Post Gold. 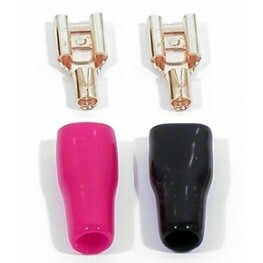 One pair (1 Red and 1 Black) High-quality 5-way binding pos.. Binding Post Satin Nickel. 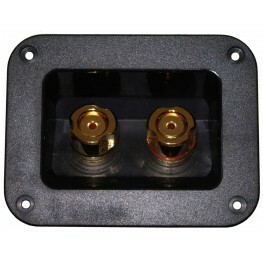 One pair (1 Red and 1 Black) Maximum cabinet wall thickness 27mm usin..
Terminal cup with Gold Plated bi-wire binding posts. 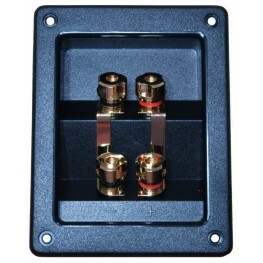 Recessed mount speaker terminal with two pai..
Terminal Cup with large gold terminals Recessed mount speaker terminal with one pair of large gol.. 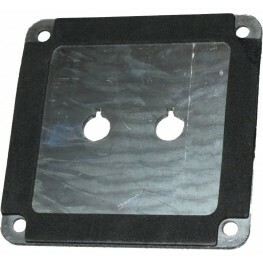 Binding Post Plate - Single. 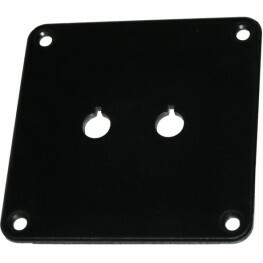 Binding Post Plate - Single - Black Painted. 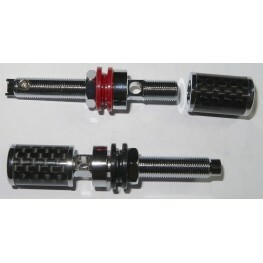 Accommodates one pair of binding posts. Made from 3.. 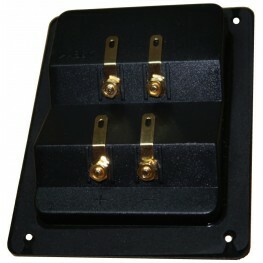 Binding Post Plate - Double. 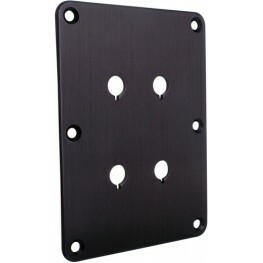 Binding Post Plate - Double - Black Anodized. 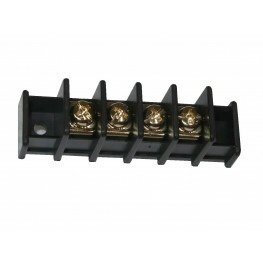 Accommodates two pairs of binding posts. 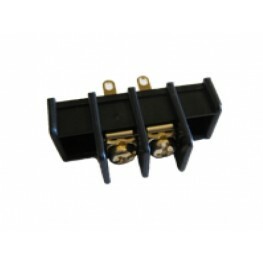 Made from..
Screw Terminal 2 Pin.Black plastic body with gold plated screws and terminals.3.5mm screw has a capt..
Screw Terminal 4 Pin.Black plastic body with gold plated screws and terminals.3.5mm screw has a capt..
Terminal Bridge - Gold Designed to work with our Double binding post plate (091-612), these jumpe..
Terminal Bridge - Nickel Designed to work with our Double binding post plate (091-612), these jum..
Gold Plated Banana Plugs T1.These 'Saw tooth' banana plugs accept wire diameters of 4.5 AWG. 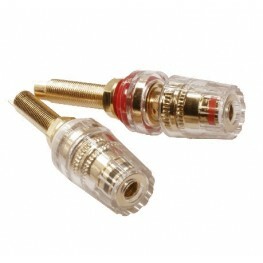 That'..
Gold Plated Banana Plugs T2. 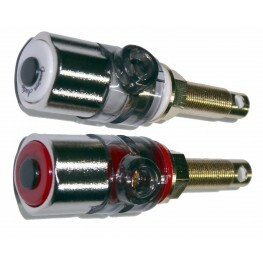 2 Pairs of plugs with push on rubber insulators (2 Red and 2 Black). .. 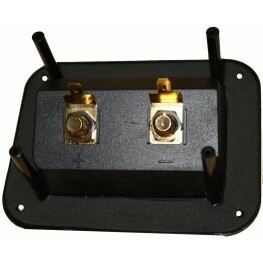 Fork Spade Terminal. 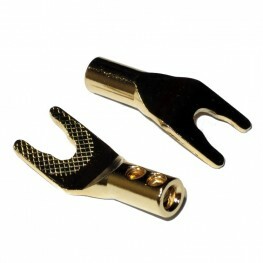 Gold plating over a brass body. 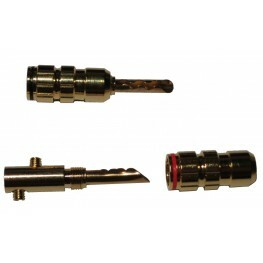 The fork is designed to fit around posts of..
Tag Strip 28 gold plated soldering lugs.Can be screwed onto wooden surfaces using M4 self tappers. 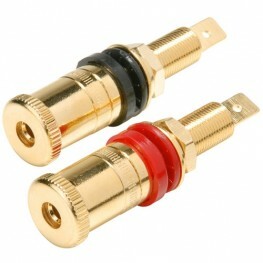 ..
Quick Connect Crimps - 2.8mm 24K Gold plated brass quick connects for speaker terminals. 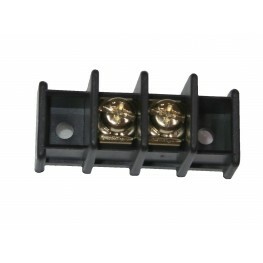 Suits&n..
Quick Connect Crimps - 4.7mm 24K Gold plated brass quick connects for speaker terminals. 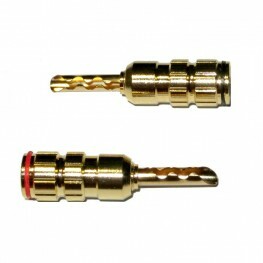 Suits 4..
Quick Connect Crimps - 5.2mm 24K Gold plated brass quick connects for speaker terminals. 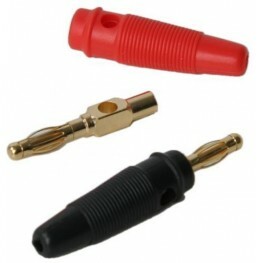 Suits 5..
Quick Connect Crimps - 6.4mm 24K Gold plated brass quick connects for speaker terminals. Also sui..